Why does styling make a difference? In a world of Instagram and Pinterest well styled interior photographs are the norm. Home interest magazines, newspaper supplements, product catalogues; all these places are packed full of well-dressed interiors. All use styled images because they know it is important. Good styling can transform a tired, cluttered house into a desirable home. Likewise what would otherwise be a nice house can be ruined by the things in it. This might be how your bathroom starts out. The general theme is stuff. Everywhere. In order to do most things successfully it’s important to know what you are trying to achieve. With styling the aim is to make the rooms look beautiful and desirable. Making the room look beautiful means removing the everyday things that are serving no positive aesthetic role, making sure everything is clean and bringing in (if necessary) nice items to raise the level of the room. Making a room look desirable means removing all the things that indicate the room is used for things other than just pure pleasure and presenting the room as a place you would want to spend time. This is fairly typical of how we see bathrooms. Most of the stuff has been cleared out, leaving a few of the more attractive items. Nothing makes you want to spend time in here though. We need some desirability. So, now you know what the general idea is, how do you put that in to practice? 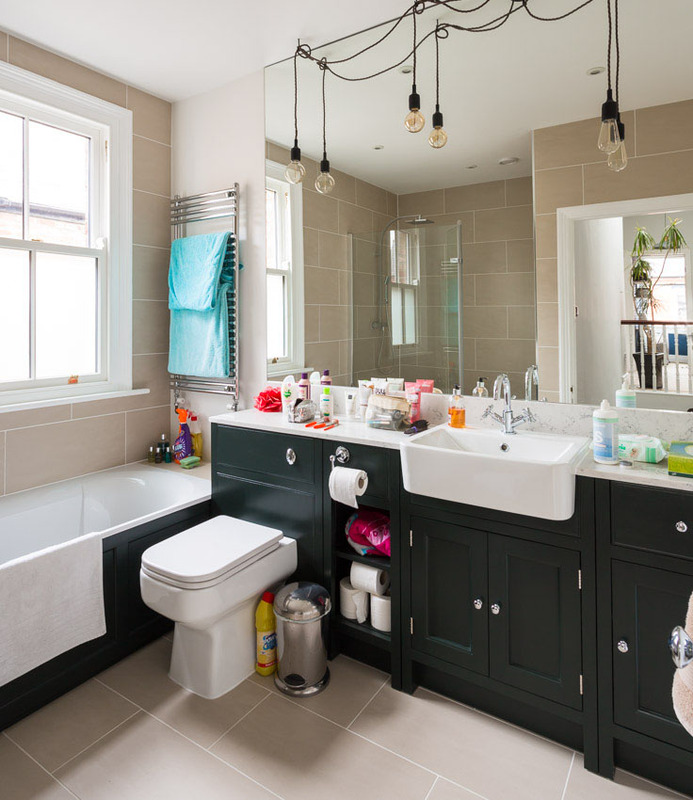 With a bathroom the best place to start is by taking everything (removable) out of the room. There’s probably not that much stuff in your bathroom to start with and if there is, then there shouldn’t be. Taking everything out will encourage you to throw away all the extra bottles, cleaning products and extra junk you may have accumulated. It’s also an incredibly good idea to give your bathroom a thorough clean at this point and get to all the places that may not have been cleaned for a while. This is less important for the photographs but a must for the viewings so you might as well do it now. We also see bathroom completely empty. Again this is okay but there is nothing to entice you and the room could look so much better with the addition of just a handful of nice items. Take a look at your now empty bathroom and think about where it looks a bit bare and empty. 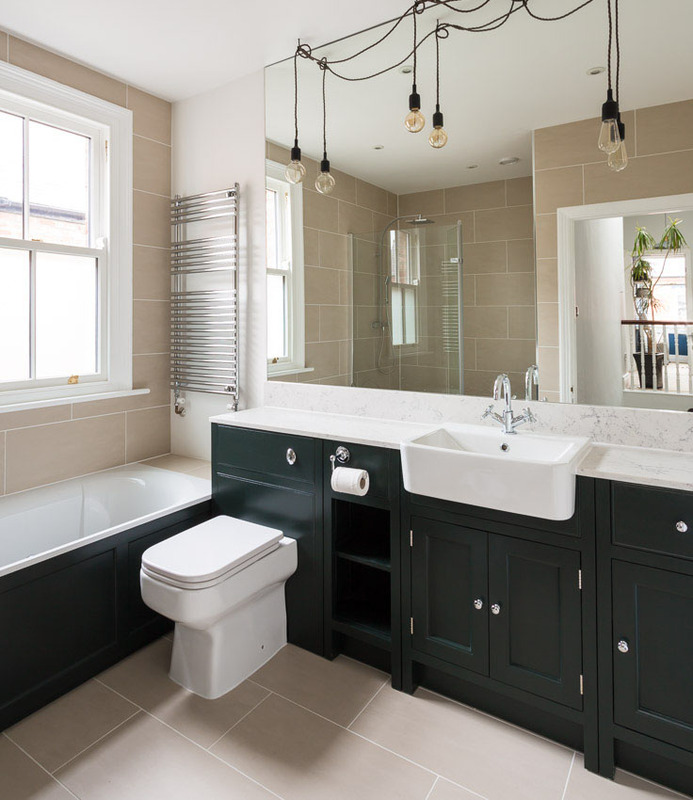 Every bathroom is different but there are likely to be a few places that could do with the odd item -windows sills, vanities, shelves and the towel rail. The most important thing to remember at this point is you are trying to make the bathroom look like a nice place to be. So firstly – no cleaning products. No one wants to imagine themselves cleaning the bathroom. This includes bins, bleach, toilet brushes and sponges. Secondly – no more than one or two CLEAN toothbrushes. No-one dreams of cleaning their teeth. I’d be tempted to leave these out altogether unless you have a couple of nice wooden toothbrushes and a clean holder for them. Ditch the toothpaste though. Thirdly – Try to keep any freestanding storage out of the bathroom for the photoshoot. It just implies that there isn’t enough built in storage. Limit the towels. You might have seen hotel/spa images of bathrooms with towels on the toilet seat, covering the radiator, piled up on the units, in a basket on the floor and stacked up on shelves. This can look good, but unless your bathroom is palatial and you have a stack of beautifully soft, crisp white towels to hand, a single towel carefully folded over the second from top spot on the towel radiator and another, neatly arranged on the hand towel ring, is your best bet here. Make sure they are clean, go with the bathroom and not too bulky. Candles and Plants are your friends. Candles evoke all sort of romantic visions about spending time in a bathroom so they are good. Don’t put them everywhere and remember that the candle holder itself is probably more important the actual candle which can get a bit lost in a neutral bathroom. Gold coloured metals are very on trend at the moment and can make a dated bathroom look a bit more current. Plants are also a great idea if you have the space for them. 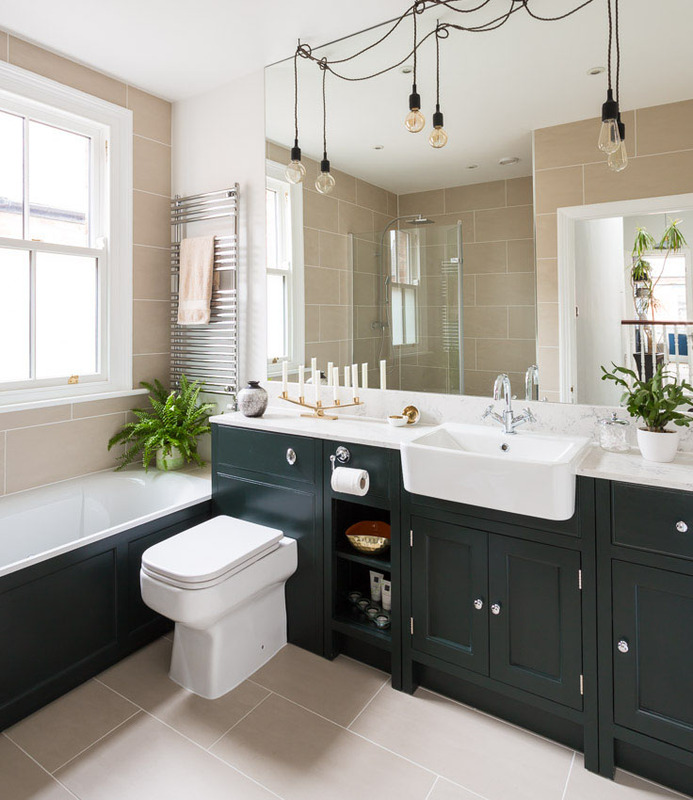 Green almost always works well in a bathroom and they make a room look nice and fresh at the same time as adding a bit of colour interest to a neutral bathroom. Soaps and Lotions – Usually, one nice bottle by the sink is all you need here. Keep the shower area completely clear and consider a plant at the end of the bath instead of a pile of bottles. Thats it! It’s likely that these few items have now transformed your bathroom into a spa like place ready for relaxation. 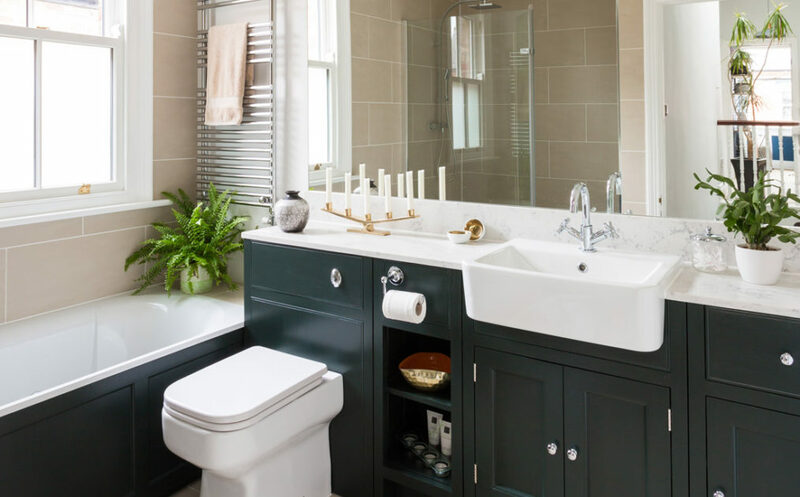 You might have only needed one or two items, the main point here is that you’ve removed all the everyday items we all need to use in the bathroom and put in items that make us think of spending a nice time in there instead. Job done! The addition of a handful of really attractive items transforms the room. Remember, you get to take these items with you, so even if you buy some items there are no downsides!